Ayesha is a young talented experienced actress. 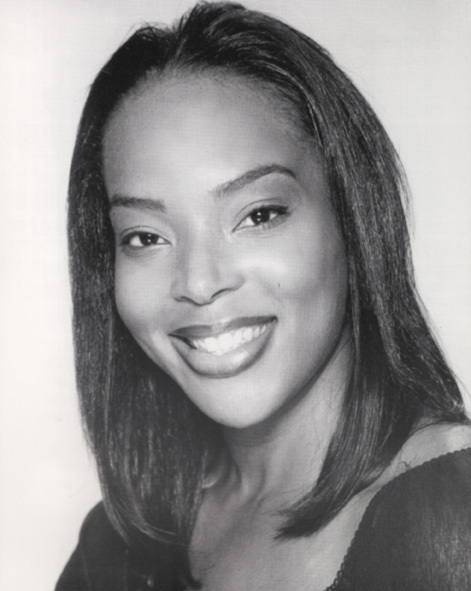 Some of her credits include the release of "Becoming Janet Jackson", on MTV Networks, Richard Simmonds "Broadway Sweat Workout Video", and the award winning film "When the Kids are Away", directed by John Chu. Currently Ayesha attends City of Refuge (formerly Greater Bethany Community Church). She is committed to captivating audiences all over the world through theatre, television, and film. Keep your eyes open for this young lady. You will devinitely see her on the big screen. Ayesha has such a determination, that if she has that thirst in her mouth, she will go after it until she is satisfied. When she first came to us, we already completed auditions, and our cast selected, but she perservered, and persisted in requesting an audition with us. We were so impressed with her drive, that we agreed to see her. Right then we knew that nothing will stop her when she sets her mind to it. She has an 'I know I can', confidence in her talents, not an 'I think I probably could...' mentality. She graciously accepted an understudy position, then the Lord moved, in both her favor and ours, as that lead role became available. She continually sought guidance and correction in order to capture the complete essence of her character. We know that no one else could play that character other than her. Her dedication to this project has been exemplary from the beginning, still and yet she continues to "press toward the mark", always trying to improve her character. Her heart is filled with the love and faith for our Savior Jesus Christ, and we know that she has put everything in her faith in Him. We are so proud of Ayesha, and truly thank the Lord for allowing her to cross our path.